Most of what I know about Santeria I learned from the movies, which I admit is not the most accurate source of cultural information. Or any information, for that matter. Santeria is in fact a religion that combines elements of several faiths — Yoruba from Western Africa, Roman Catholicism, and Native Caribbean rituals and beliefs. The geographic center of the religion is acknowledged to be in Cuba, so it’s natural that a cigar take its name from this esoteric cult faith. Well, maybe not natural. Supernatural? 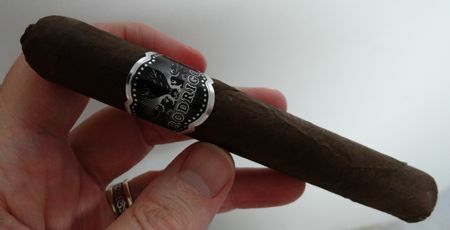 Santeria is also the second blend in the Gonzo line from Epicurean Cigars. (A Gonzo line is sort of like a Conga line, but crazier.) 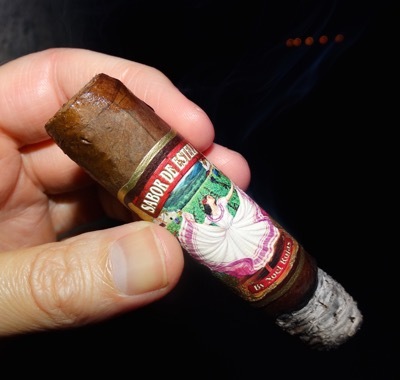 This blend features a double shot of Mexican San Andres — an almost flawless maduro wrapper over another San Andres leaf serving as binder — which is then paired with another binder from Jalapa, and these hold in place a blend of 2009 Jalapa and Condega leaves. It’s a bewitching brew, and I wasn’t surprised to find that it smokes like one too. 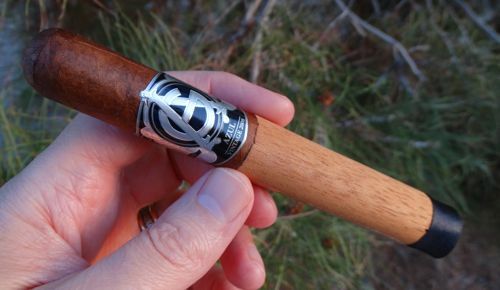 Like the AG Azul, the Gonzo Santeria is remarkably well made. (The one I smoked for the review was the toro-sized Heina.) The head and shoulders of the cigar are about as clean and perfect as I’ve seen. The cap is tightly wound and finished with a pigtail that sits like a beanie on the top of the stick. 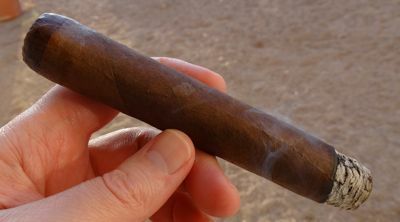 The wrapper is a dark colorado maduro, a little bit drier than the Habano wrapper on the AG, but still quite attractive. The cigar has a slight box press. It burns slowly and evenly. Based on the appellation of the cigar I was expecting a feistier smoke. I figured if the Gonzo didn’t get me then the Santeria would, so I was a little surprised by the smooth medium-bodied opening. 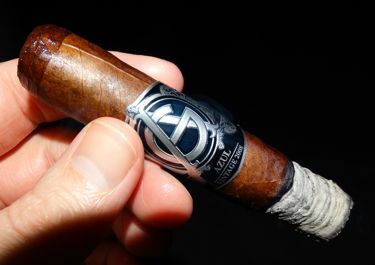 The flavor is is earthy to start — minerals and black powder — so there seems to be a family resemblance to the AG Azul. There are a few muted spicy notes, but it’s not at all what I was expecting. There is no harshness and no bite. But as the old Monty Python sketch advises: wait for it. 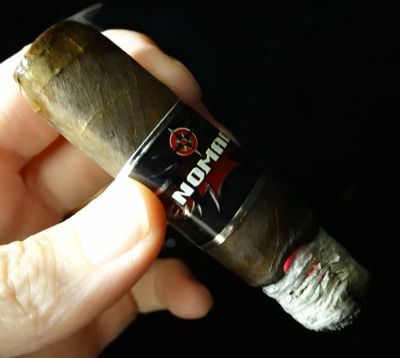 A third to half-way into the cigar the pepper kicks in, and so does the Vitamin N. The aroma turns from earth to leather. The cigar gathers strength and the fiesta begins. Hope you remembered the hooch. Finally there is the cocoa or chocolate, or whatever it is, that I was expecting from the San Andres wrapper and binder combo. At this point it hardly matters because I’m thoroughly satisfied anyway. Another excellent cigar from Epicurean. 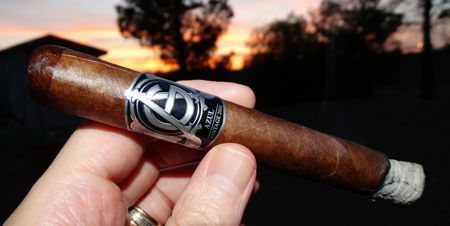 As with the AG Azul, I can’t give this cigar a rating because I only smoked a single representative of the blend, but based on the outstanding construction quality I would be shocked if the cigar isn’t consistent across the board. Looks like there’s another one I’ll be going out of my way to find. 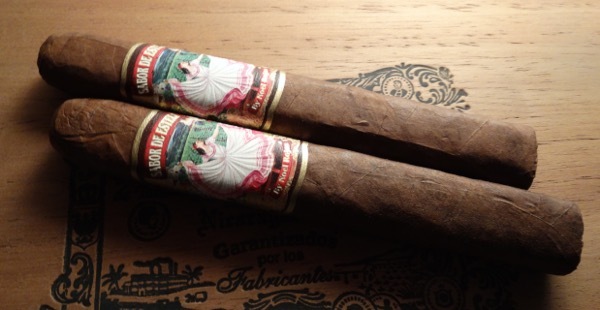 Epicurean Cigars are small batch boutique cigars blended by Steven Ysidron, a veteran with Cuban roots who began his career with the Fuente family and Savinelli pipes and cigars in Italy and the Dominican Republic. 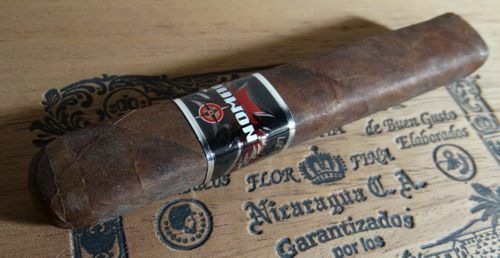 In the late 1990’s Ysidron lit out on his own and began producing cigars in Nicaragua. All Epicurean cigars are aged for four years after rolling — this is pretty remarkable, given the way that most manufacturers observe the shortest rest time necessary in order to maximize profits. It’s always admirable when a cigar company, especially a small company, refuses to sacrifice quality for sales volume. This is a beauty of a cigar before it’s even out of the cellophane. The black and silver band is tasteful, and I always approve of a cedar sleeve. The wrapper is a slightly oily colorado maduro, and the cigar terminates in a nicely rounded head with a carefully crafted cap. The roll is solid, the draw is excellent, and it burns evenly. 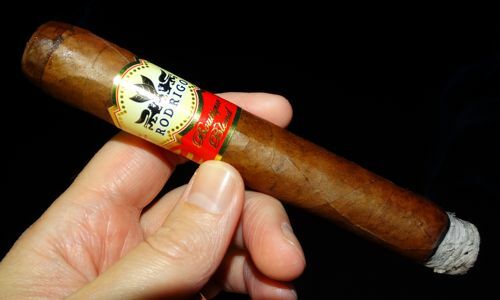 From outward appearances alone, this cigar is obviously the product of an experienced torcedor. The AG Azul 2008 Toro starts up a bit tannic on the tip of the tongue. Soon the aromas of leather and wood dominate. As the smoke progresses, the aroma takes on more cedar punctuated periodically by an earthy sulfuric note, like black powder. The flavor is Cubanesque, but with a Nicaraguan accent. Both the body and the strength of the cigar are around medium, though the last stage of the smoke is stronger. It finishes up with black pepper and a pleasantly earthy aftertaste. 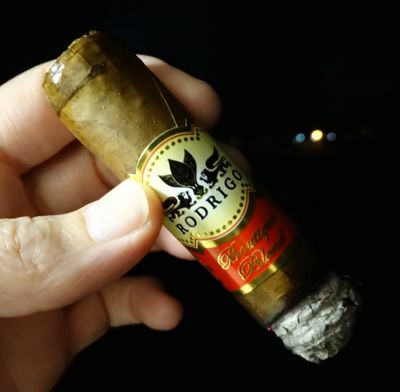 A really excellent cigar. I’m unable to rate the AG Azul 2008 because I only smoked a single sample, but if the cigar is consistent from stick to stick this is going to be in the 90+ category easily. 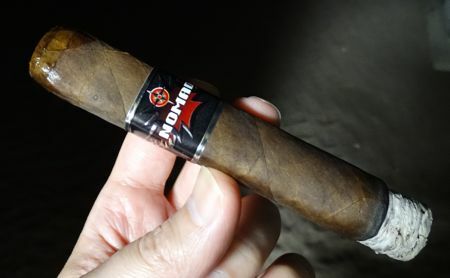 At around $9 USD it’s a special occasion smoke for me, but very few cigars are made this well and smoke so smoothly. 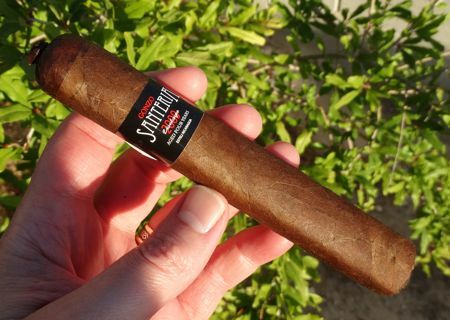 If you’re looking for a medium-bodied cigar with an earthy Cubanesque flavor profile, you can’t go wrong here. If you can’t find them at your B&M (an unlikely proposition for most) try the Cigar Federation Store. 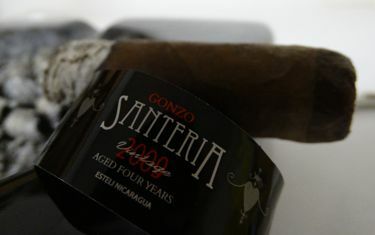 Note: A review of Epicurean’s Gonzo Santeria is up next. I had intended to review both the AG Azul and Santeria in one post, but I can only cram so much gushing into a given space.